One of our favourite summer family activities is hiking together. Over the past few years, we’ve had fun exploring the mountains and parks of Vancouver. 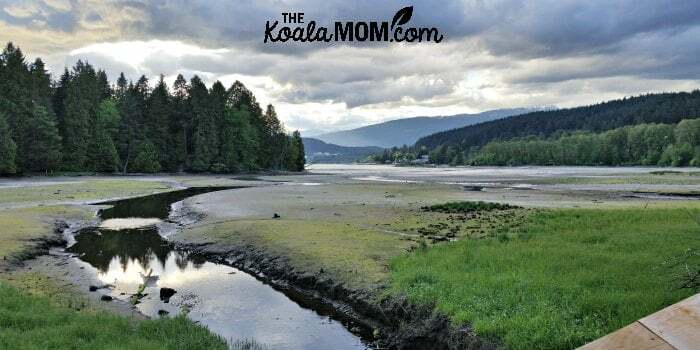 If you’re looking for some great hikes to do as a family, here’s a list of our favourite family-friendly hikes around Greater Vancouver. These range from easy hikes (flat and short) to more challenging hikes (longer or steeper), so please read my full post for more details about each hike before venturing out. The Teapot Hill Trail is located in Cultus Lake Provincial Park, about an hour’s drive outside Vancouver. 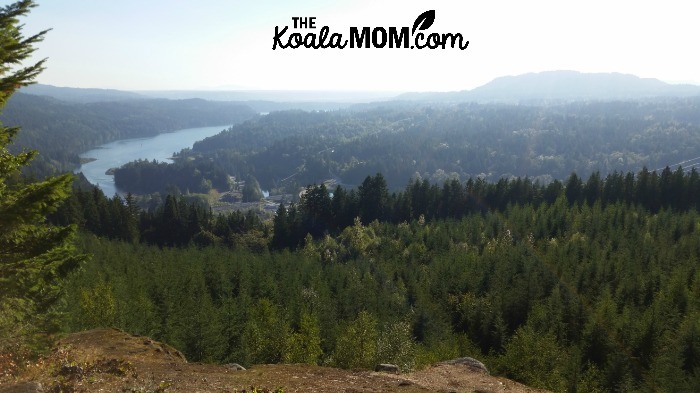 This easy trail climbs through an evergreen forest to a viewpoint overlooking Cultus Lake. 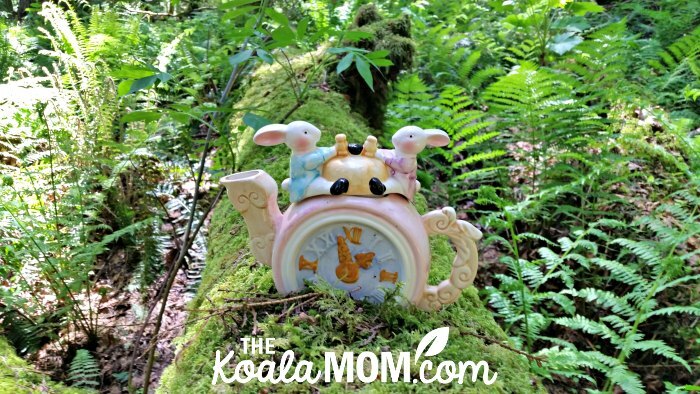 Children will have fun spotting and counting teapots along the last half the trail. Pack water and a snack or treat to have at the top of the trail. The Stave Dam Interpretation Trail winds up a mountain near the Stave Falls Powerhouse. Hikers pass through young forest, middle-aged forest and old-growth forest, with signs along the way to explain. The views of the valley from the top of the trail are stunning. 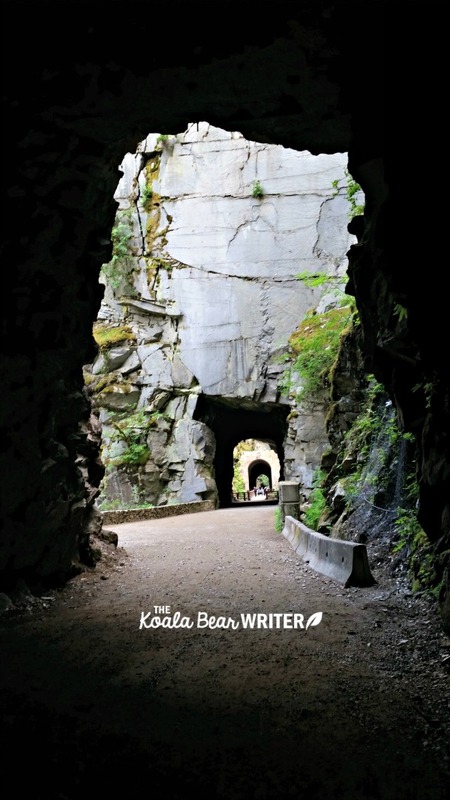 The Othello Tunnels trail follows an old railroad line over bridges and through four railroad tunnels near Hope. This trail is wide and flat, accessible for strollers, and offers plenty of scenery to keep kids hiking. There’s a picnic area by the parking lot. 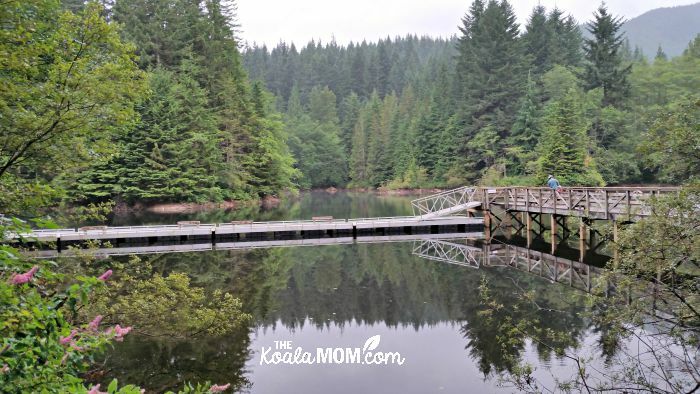 The Buntzen Lake Recreation area is a beautiful place to picnic, boat, and hike near Port Moody, BC. The Buntzen Lake Trail follows the east side of the lake and is wide enough for a jogging stroller. There are views of the lake as the trail goes up and down but stays fairly close to the lake shore. The beach at the far end of the lake is a great place to stop for a wade (or swim) and a picnic or snack. You can then decide to return on the shorter east side of the lake or take the slightly longer, rougher trail along the west side of the lake. 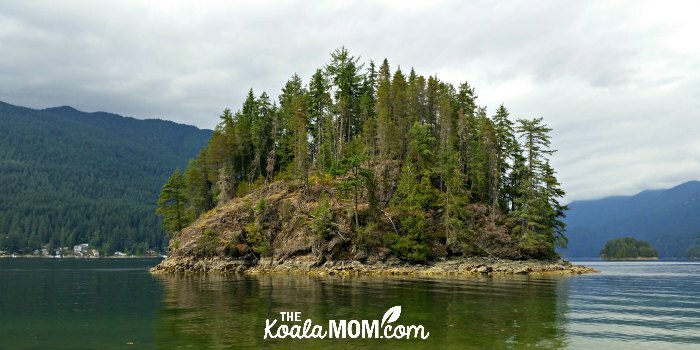 The Admiralty Point Trail is one of our favourite hikes in Belcarra. This trail winds up and down through evergreen forest at the edge of the inlet. It passes Maple Beach and continues to a viewpoint facing Barnet Marine Park, but our favourite destination is Admiralty Point. 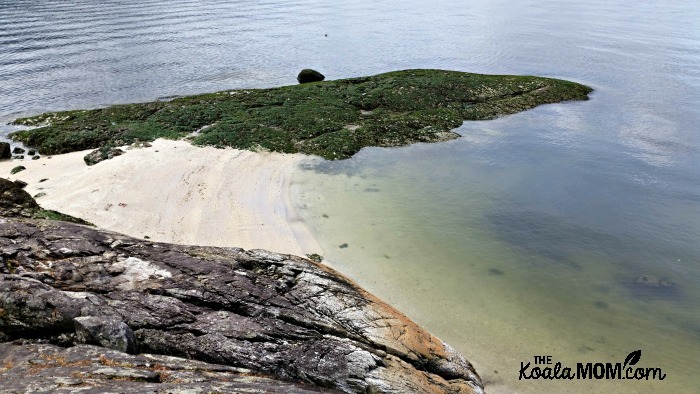 At low tide, kids can scramble down the rocks here to play on a white shell beach or run around a rocky promontory searching for star fish. Give yourself time to play at Maple Beach and Admiralty Point (or both) and check tide tables before you go. Jug Island Trail begins at the same place as the Admiralty Point Trail and goes in the other direction. 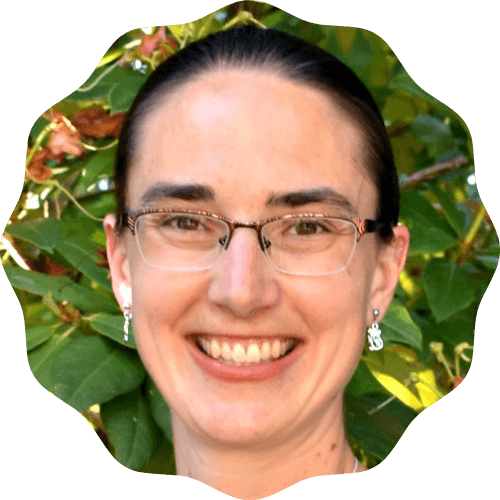 Louise from Talk Nerdy to Me says this “is a beautiful moderate hike for those who want something in the two-hour range. It winds through the forest until the end when it opens up to Indian Arm. You can then walk along the ocean shore and look for crabs and fish and I recommend going at low tide if possible.” We spent as much time playing on the beach there as we did hiking to and from. The Shoreline Trail is one of our favourite hikes. It’s an easy walk around the end of the Burrard Inlet from Rocky Point Park to Old Orchard Park. The trail is paved and is accessible for strollers or bikes; in some places, the foot trail splits from the bike trail (such as over the boardwalk, where wheels aren’t allowed). The parks help provide motivation to keep the kids hiking (allow time to play at either end of the trail, or pack a picnic to eat in the park!). Rocky Point Park is accessible from the SkyTrain and is also the home of Rocky Point Ice Cream for extra hiking incentive. The Stanley Park Seawall is a beautiful, easy place to hike near downtown Vancouver. There are multiple places around the seawall to start or end your hike. We took two vehicles and parked each one halfway around the seawall, so that we just walked the outer half of the seawall. You could also walk from one beach to another and back, or walk the entire seawall. 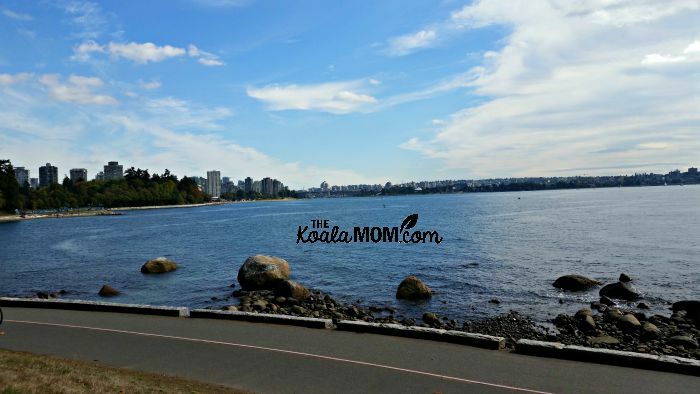 The seawall is stroller friendly and has beaches and cafes along the way to stop for breaks. 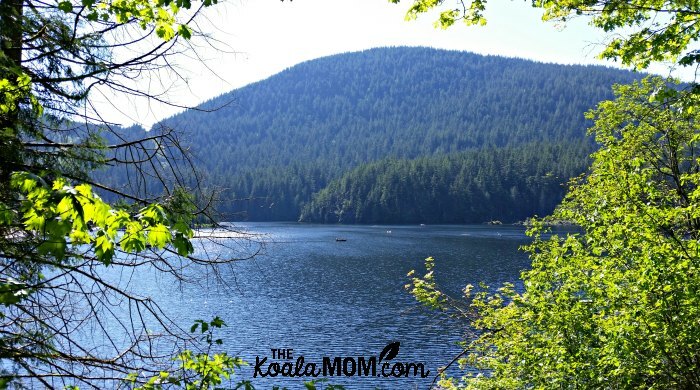 Rice Lake is an easy hike around a peaceful lake in North Vancouver. The wide trail is accessible for a jogging stroller. There are a few benches around the lake, as well as a dock and picnic shelter at one point, for breaks and snacks. If you enjoy fishing, this lake is stocked and hosts “learn to fish” days. Lynn Canyon offers a scenic hike through old-growth forest near a stream, with a suspension bridge and waterfall to reward hikers. Bring a picnic to enjoy in the picnic area afterwards and give yourself time to stop by the Ecology Centre. There is also a cafe here. 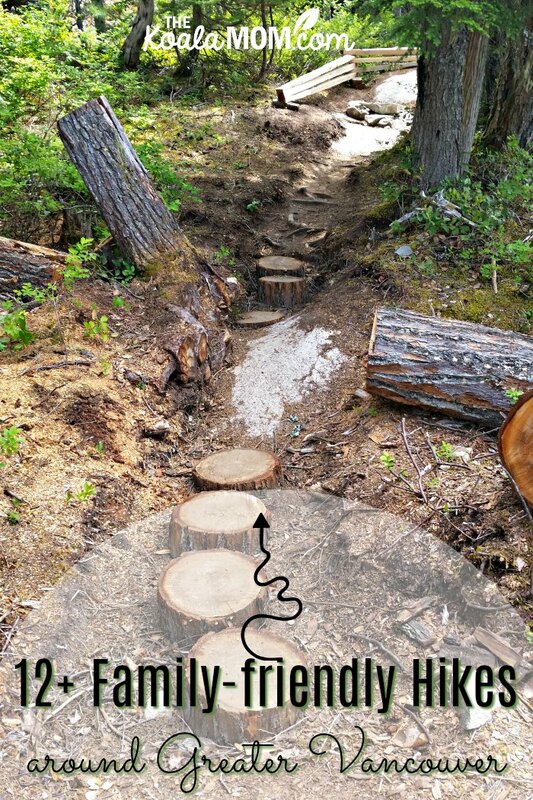 There are various points to start the trail, as it can also be accessed from the Baden Powell Trail (follow the signs and check maps before hiking). Highlight: scenic lighthouse as well as local history, beautiful beaches and stunning ocean views. 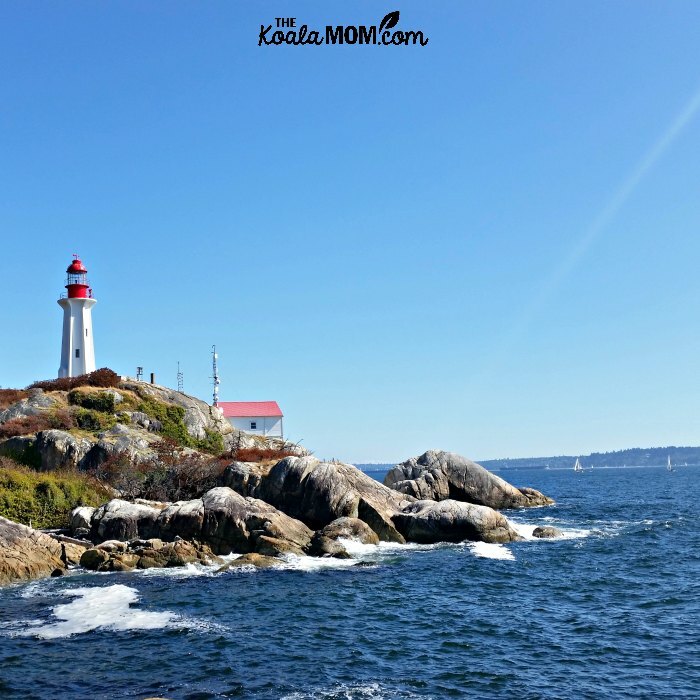 Lighthouse Park is a scenic, beautiful park that offers plenty to explore. Trails wind throughout this natural area, crisscrossing the cool, shady forest and dipping into the beaches or climbing to rocky cliffs. There are plenty of picnic areas and Instagram-worthy photo opportunities, as well as local history and, of course, a lighthouse. Alpine Alley is a kid-friendly hike off the Panorama Trail at the top of the Sea to Sky Gondola. 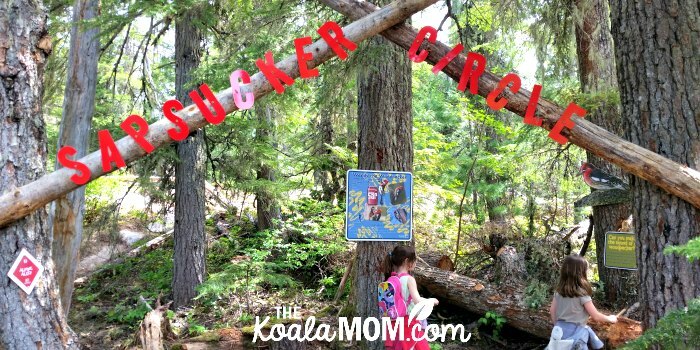 Kids will have fun reading signs about bears, goats, eagles and other alpine animals, as well as crawling through tunnels, using ropes to climb up rocks, and more. There’s plenty to see, do and learn on this trail. For a longer hike, take the kids out to the Chief Viewing Platform after completing Alpine Alley. 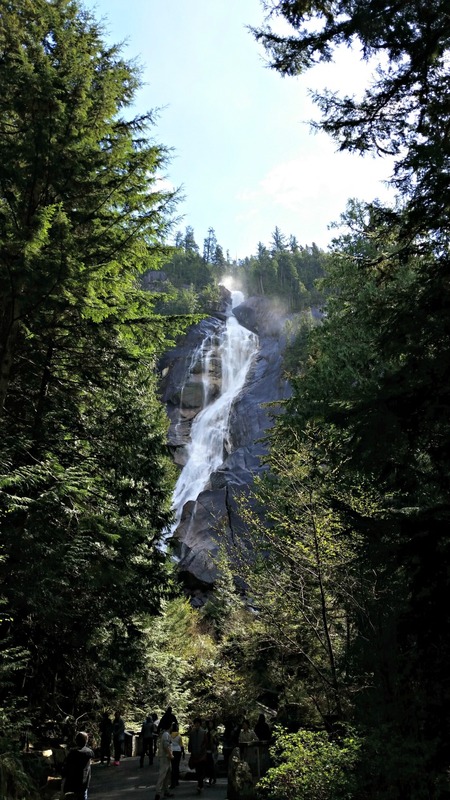 If you’re looking for waterfalls, Shannon Falls is your destination. This thundering falls near the Sea to Sky Gondola can be seen from the highway, but is best appreciated from its foot, at the end of a short hike. Bring along a picnic to eat in the picnic area beside the parking lot. 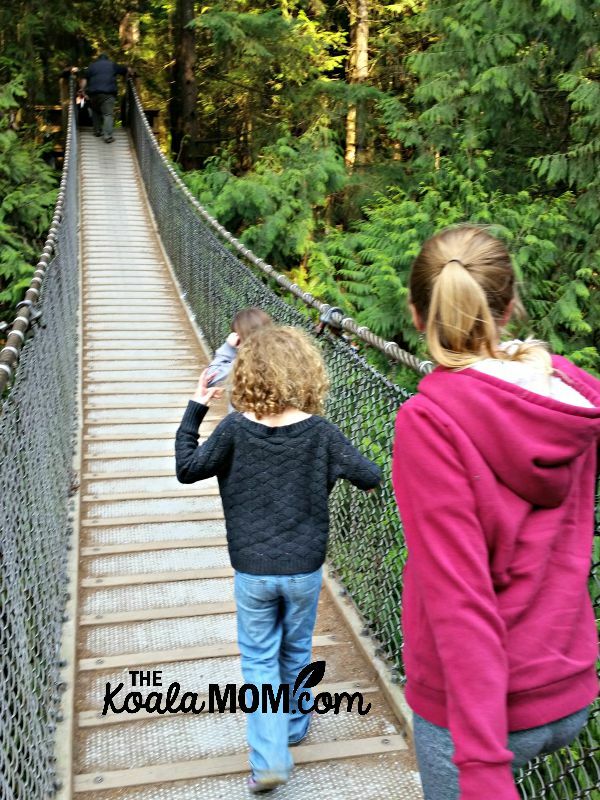 What are your favourite family-friendly hikes around greater Vancouver? 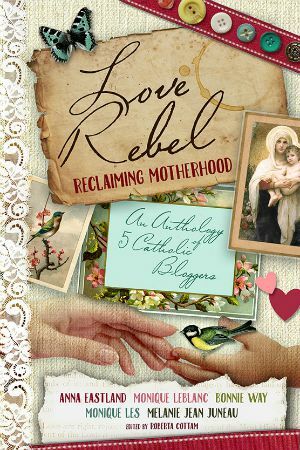 If I’ve missed any, please leave me a comment so we can check them out next!